Dr. Alex Jimenez presents a story of triumph. An unlikely source defending his own story, Dr. Hosmer, a brother Chiropractor discusses a personal message for those who detract from Crossfit. The story is one that hit home in our very own El Paso because we now have quite a few Chiropractors, Physical Therapist, Orthopedist and allied heath professionals doing Crossfit. The title is true. 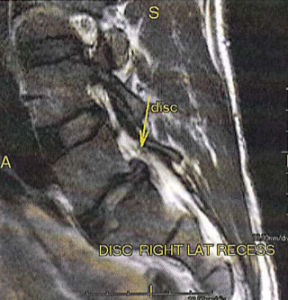 I am a Chiropractor, and last week I herniated my L5-S1 disc during a CrossFit workout. I’m sure that there are a number of people out there that will rejoice in this data point, given that a spine and biomechanics expert could not avoid injuring their back while doing CrossFit. 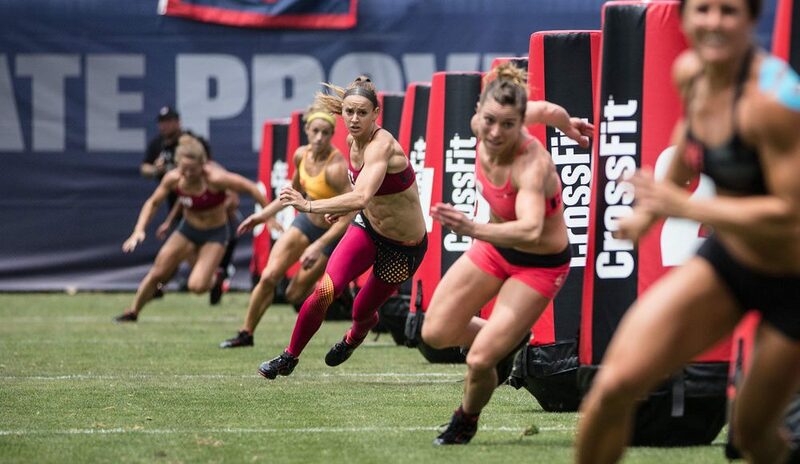 My goal in writing this article, however, is to shed some light on what I’ve found with regards to CrossFit safety and effectiveness. I also want to share my experience in recovering from a herniated lumbar disc, so hopefully others can draw upon my experience to help them through this difficult injury. First off – lets get the “CrossFit is Dangerous” discussion over with. I was warming up on front squats when the injury happened. We always do 10 minutes or so of dynamic mobility as our warm up, then some specific movement prep before we begin. In this case I’d completed my usual warm up with no low back pain or tightness. I did 10 or so reps with just the bar (45 pounds), then 10 reps with 25 pound plate on either side (95 pounds), and towards the end of that second set I felt my low back tighten up. I’ve had low back issues previously – more on that later – and this just felt like a mild tightening right over the spine at belt level. So I took a minute to do some SI joint and Lumbar mobility on the foam roller and felt fine, so I continued the workout. We were working up to something like 5 sets of 5 front squats, with a progression based on percent of 1 repetition max. Rep 1 of the next set (135 pounds) was bad and I knew that I should stop the workout right away. I spent the rest of my time at the gym that day doing stretching, foam rolling and mobility work for my low back. My symptoms worsened in the next 24-48 hours, and ultimately I was diagnosed via MRI with a L5-S1 disc herniation, with compression of both the L5 and S1 nerve roots. It would be easy to conclude, therefore, that I herniated my disc because of CrossFit. However, if you read the literature that discusses the etiology of Lumbar Disc Herniations, you’ll find that the vast majority are the result of many years of degenerative changes and weakening of the disc, culminating with an acute herniation which is typically triggered by a trivial movement. This is also consistent with my case as I’ve had low back pain on and off for about 15 years. I think that there were many reasons for this including 22 years in school, 13 years of bike racing including my fair share of crashes, and the tight hips and limited mobility that go along with that. I hate to admit it, but turning 40 next year probably has something to do with it, if nothing more than falling smack in the middle of the most likely age range for lumbar disc herniations. Prior to CrossFit, I’d had several episodes of my low back “going out”, all triggered by doing Kettlebell snatches. Without going into a lot of detail on that, I would predictably have 2-3 painful days, and then I’d be fine again. It seemed to be related to a lack of ability to torsionally stabilize my lumbar spine, possibly from the postural/tightness factors outlined above. So I’d had to take some time off from strength training, which is what ultimately brought me to CrossFit. I thought that trying something different might help. And one of the things that was different about CrossFit for me is that I knew going into it that I had significant mobility limitations, and I was going to have to fix those in order to move forward. I began doing about 60 minutes of self myofascial release, stretching and mobility work daily – yes daily – and had basically zero back pain for about 1.5 years, or as long as I’d been doing CrossFit. My low back felt amazing. Although I got sore in a lot of places, I never had any low back pain from WODs. So when my back locked up on me during the workout recently, I was very surprised. It also felt exactly like the back pain I had previously, so I was not overly concerned at the time. I am guessing at this point, but I think that the back pain I’d been feeling all those years was likely my L5-S1 disc tearing, and it finally let go during those front squat warm ups. And when I developed radicular symptoms (pain in the posterior hip and down the leg to my foot) the next day, I realized that it was just a more extreme version of pain I’d been having for 10 years (although rarely in the past 1.5 years), leading me to conclude that I had some ongoing nerve compression from a likely lumbar disc bulge for quite some time. Previously I’d assumed that it was just tight hips and a peripheral entrapment of the sciatic nerve from all the year sitting and cycling. Would my disc have herniated if I had not been doing CrossFit? I’ll never know for sure, but I would guess that it would have given my history of symptoms. I do know that without CrossFit I would not have done all the mobility work or achieved things in the gym I never thought I’d be able to do. As a Chiropractor with an emphasis on sports, I treat a fair number of sports injuries. Some of them are from CrossFit, but we also regularly get runners, golfers, yogis, basketball players, lacrosse players, you name it. There is danger in all sports. Certainly some are more dangerous that others – traumatic brain injuries from Football anybody – but ultimately it is up to each individual to assess their risk/reward ratio and decide what is a good fit for them. Of the sports injuries that we treat from CrossFit, the vast majority are injuries that happened previous to starting CrossFit, but were re-irritated due to the challenging nature of the training. I would categorize my lumbar disc herniation in this category. My spine was already in trouble when I started CrossFit, and it happened to let go during a WOD. It could have just as easily happened when picking up one of my kids, carrying groceries, or any other relatively trivial activity that is most consistent with the onset of lumbar disc herniations in the population at large. So to summarize my opinion on the safety of CrossFit, I think that it can be done safely. It can also be done unsafely. It is up to the individual to respect their limits and progress gradually. The trainer helps keep them stay safe along the way. With any injury, the first step is to get help in figuring out exactly what is going on, and how serious the injury is. I was 99% sure that I’d herniated a lumbar disc, primarily due to the severity of the pain in my low back, but also due to the true radicular pain all the way down to my foot. But I still sought confirmation via MRI, and my imaging study showed the L5-S1 disc herniation which compressed my R S1 nerve root, and also put some pressure on the L5 nerve root. Are there any positions that relieve your pain? Sitting with a large pad behind my back provided the most relief for me. For the majority of disc sufferers, standing is typically the best for them. Are there any positions you need to avoid? For me, standing was generally bad, and forward flexion was the absolute worst. Treatment-wise, I had basically everything available to me. The thing that provided the most immediate and lasting relief was flexion-distraction treatment. We also used some kinesiology tape. Though the literature suggests that Chiropractic Adjustments can be helpful for Lumbar Disc Herniations, our examination did not reveal any segments that were not moving properly in that region, so we did not do any adjustments. In addition, I did several things on my own including using Low Level Laser several times per day, using natural anti inflammatories (Wobenzym PS and Hammer Nutrition Tissue Rejuvinator), and stretching and mobility work. I experienced significant relief over the next several days, and was feeling an estimated 50% better in about 5 days. However, I decided that I would try an epidural steroid injection in order to help relieve the pain, and also gather another data point for me to use with my patients in the future. I get some of my best knowledge of injury treatment through working through my own injuries. The injection itself was relatively painless, and I had near complete resolution of all pain in about 24 hours. I still need to avoid both trunk/lumbar flexion, and R hip flexion with the knee straight, as both still produce exquisite pain in my low back. But as long as I avoid those two things, I’m feeling pretty good. It has been 3 weeks since my injury, and I am basically symptom free at this point, as long as I don’t do anything like a straight leg raise (SLR) – doing this movement causes fairly intense low back pain as the nerve roots get squeezed by the disc material. Otherwise, I’m fairly functional, and forward flexion is no longer painful. I resumed training at the CrossFit gym about 1.5 weeks ago, but I am avoiding lifting anything heavy, and I am putting a lot of time into improving my trunk position to limit flexion with all squatting motions. Will I continue to do CrossFit – absolutely. I am happy to report that the low back is more or less a non-issue, unless I’m trying to do a kick a soccer ball as far as I can while coaching my son’s soccer team. Otherwise, I been gradually working back up in my weight, and was able to do deadlifts at 205 pounds this morning without any trouble. I’m still hyper-attentive to my technique, but I feel pretty good day to day. I feel like I got lucky – I know that a lot of people suffer for a long time with a disc herniation. Thanks to all who have helped out already and helped me stay motivated.